When I first heard that a journalist from Atlanta published her first novel, “You go girl!” was my first reaction, as I’ve been slacking on finishing my own book. I started reading up on Colleen Oakley and her first novel “Before I Go”, then my pal from UGA’s Grady college — now editor of Eide Magazine, Tova Gelfond — invited me to attend her book party. The event was hosted by Jenn Hobby, Kirsten Palladino, Tucker Berta, Vikki Locke, Meg Reggie, Lisa Shore and (of course) Eide Magazine. 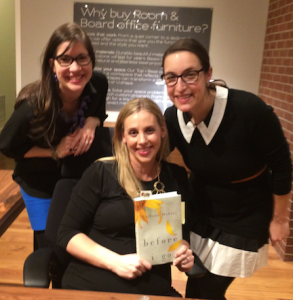 Family, friends, fellow journalists, and new fans gathered at Room & Board to celebrate “Before I Go”. Guests nibbled on JCT Kitchen snacks and sipped cocktails from Candoni Wines and Vixen Vodka. Y’all can keep up with Colleen on Facebook and Twitter. 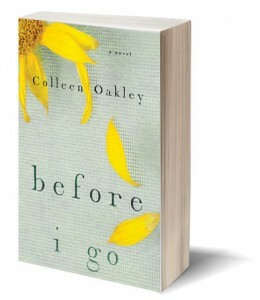 Be sure to pick up your copy of “Before I Go” on sale now.